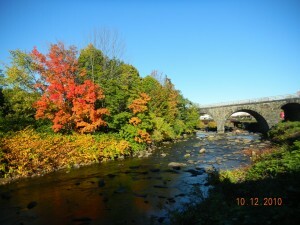 Experiencing fall foliage in Maine is one of those “have to” bucket list life adventures. 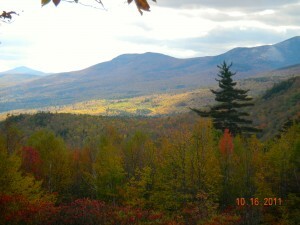 One of the toughest question I field is “when is it the best time to come for fall foliage? It’s a bit of a moving target from year to year, the intensity or timing of said being somewhat variable and unpredictable.. Long term and recent temperature trends, moisture trends, rain, wind and even insect and caterpillar plagues have a bearing on timing and color. The lingering warmth of the ocean closer to the coast makes “the changing” delayed relative to the colder interior and mountainous areas (a little over an hour northwest of here) , often by as much as 2 weeks. Native Yankees leaf-peepers know this and go for the mountains early. Once those yellow birches, blazing red and swamp maples start to go though, one windy night (especially combined with heavy rain) can find most leaves stripped and on the ground by morning! The oaks (red oaks being the most intense of their species) turn a beautiful aged brick red and tan, a couple of weeks after the maples. 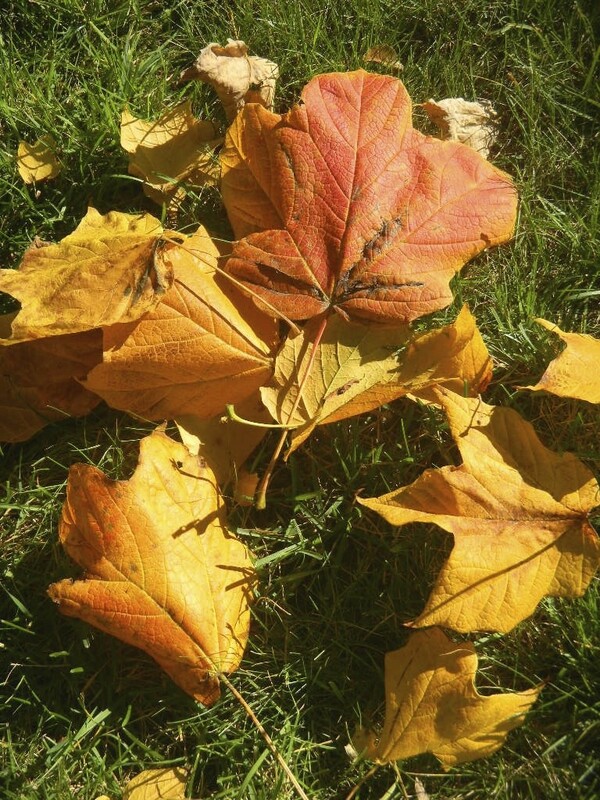 Summer of 2013 was odd and very warm at times, with some extended wet spells, but the late summer was very dry, and the maples here pretty much browned up, turned yellow and fell off from early to mid-October. At least that was true of the 2 adolescent black maples beside Brewster House, and the sugar maples and ashes were a little disappointing. This summer has been cool with very even periods of sun and some rain, and it’s getting cool in the evening, in mid-August as low as the 40’s back in the western Maine mountains! Supposedly, when the trees start to turn is determined by sun angle, not temperature, but if I was a betting man, I’d bet on things starting a little early here this year! We at Brewster House offer a number of specials into Fall, including “Fall Colors Surf & Turf (including a self-drive map of the choicest viewing areas),” “The Maine Seafarer Adventure,” and the always popular “Lighthouse Tour.” Please see the details in the “Specials” tab at our website. In addition, many local boat charterers, including our friends on the Alert schooner and Captain Ring on Atlantic Seal Charters offer “foliage cruises” in that crisp, crystal Autumn air very reasonably. There are many Fall Festivals, like Oktoberfest http://www.oktoberfestmaine.com, and Country Fairshttp://www.mainefairs.org/fairs.html to enjoy too! We still have some availability at Brewster House for September & October, so reserve your fireplaced room now!! Wow, I’ll have to check on the downhill ski equipment soon! Winter comes quick after “stick season” here in Maine! Thanks for the inquiry! We have several rooms (and a living room) with fireplaces and several parks and areas with hiking trails nearby. Several of those are on the ocean or major Maine rivers! The bar for restaurants in Freeport is quite high and there are several wonderful restaurants (on the water) on Harpswell Neck nearby. Portland (15 minutes south) is renowned as a “foodie city” on the East Coast. Obviously, you been on our website, please feel free to call if I can be of further help.